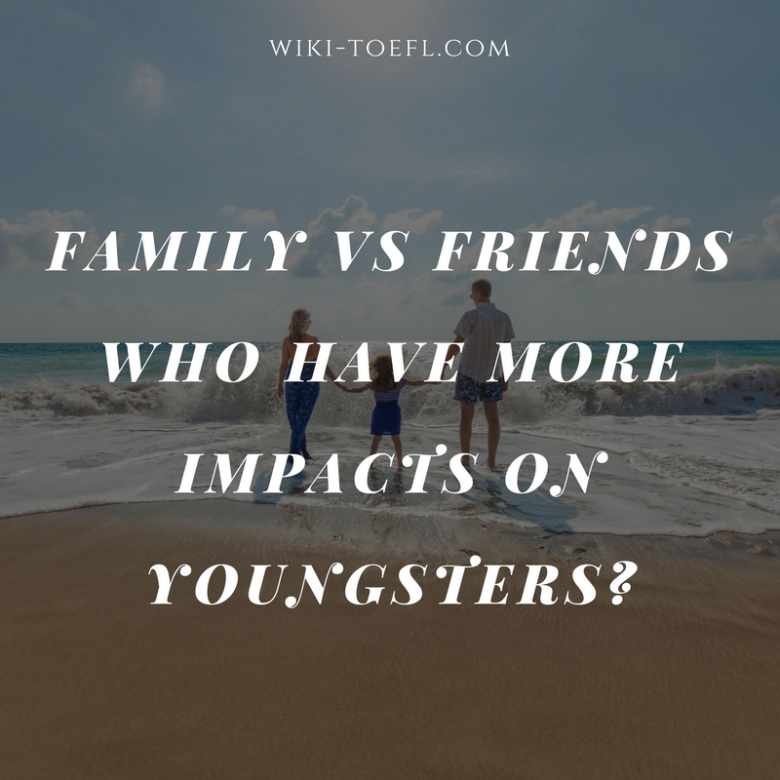 Home Writing	Family and friends, which one do you think is the most important influence on youngsters? Although friends make an impression on your life, they do not have the same influence that your family has. Nothing is as important to me as my family. From them, I learned everything that is important. I learned about trust, ambition, and love. Your family is with you forever. They are not going to leave you because they find another daughter they like better. They are not going to leave you because they think you are too much trouble. A family is permanent, while friends come and go. Your parents are your role models. They will encourage you to do your best, to push yourself, and to improve yourself. Friends want you to stay the same: they don’t want you to be different. A family is ambitious for you. Friends are not. Your family teaches you about love. A family’s love is not judgmental. They love you for everything you are. Friends may love you because you have a new car or because you go out with them on Saturdays. A family loves you. Friends only like you. Without my family, I wouldn’t know what to do. I wouldn’t feel as secure. I might not have the ambition to go to school. I probably would be afraid to love. My family is my greatest influence.